Even those who are not classical music lovers want to visit Tanglewood. Tucked away off the country roads of Lenox village amid the thick, tangled trees of the Berkshires mountain range in western Massachusetts, Tanglewood has been the summer home of the Boston Symphony Orchestra since 1937. The summer 2015 schedule that just wrapped up, marked Tanglewood’s 75th anniversary having hosted performances by the BSO every year except 1942-45, during World War II. The drive to Tanglewood is refreshing. On concert nights the traffic can get heavy so the best approach is to prepare for a slowdown and take in the beauty of area. The closer one gets it’s typical to see folks carrying in lawn chairs, blankets and sweatshirts to wrap around the shoulders as evening falls bringing with it cooler temperatures. When scattered showers are in the offing, it’s amusing to see the parking attendants clad in shorts along with their Wellies (high British-style rain boots). In addition to the symphonic series, Tanglewood hosts a Festival of Contemporary Music and a Jazz Festival. Among those who performed for this season’s Popular Artists Series were Sheryl Crow, Huey Lewis & the News and Bernadette Peters. As well, James Taylor returned for a sold out July 4th concert. Although I have seen James Taylor in concert I have not yet had the good fortune to attend one of his shows at Tanglewood – maybe next summer. As well as concerts, as noted on their website, Tanglewood offers Talks & Walks -free one hour walking tours, panel discussion by musical artists and a program for children age 3-10 called Watch & Play – (the 2016 schedule has yet to be published). They have a gift shop on the grounds. Named for a children’s book written by American author Nathaniel Hawthorne, “Tanglewood Tales”, Tanglewood is located on a 526 acre property which is an expansion of the original 210 acre estate given to the BSO in 1936 by Mary Aspinwall Tappen, according to online sources. Three music schools are here: Tanglewood Music Center; Days in the Arts; and the Boston University Tanglewood Institute. Surrounding the venue, in spots such as nearby Stockbridge, are other cultural and entertainment opportunities. The 2016 schedule has yet to be published, however, if you are a New Englander who has not been to this lovely place, or should you come to the region, be sure to put Tanglewood on your ‘must visit’ list. 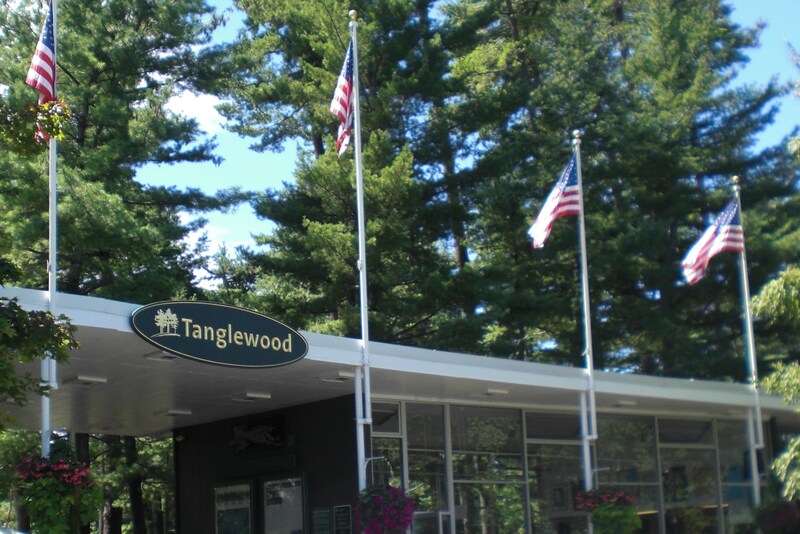 Tanglewood 297 West Street (Route 183), Lenox, MA 01240, 617-266-1200 or 888-266-1200. From Hartford, CT a one hour drive, 1-91 to the Mass Pike then follow local signage.